Numerous Arlesian families became prosperous during the Renaissance period. Their town houses along with the new public buildings of the time created the model of the old city centre that we continue to admire today. After a period of recession at the end of the Middle Ages, the city underwent, from the end of the 15th to the middle of the 16th century, a period of prosperity and important transformations. One example is the 1558 construction of the belfry in the city centre, situated on the present-day Place de la République. At that time the Arlesian aristocracy was living in the centre of the city where they built sumptuous town houses. Numerous mansions were constructed around central courtyards, with rich theatrical decors. The Old Borough (Vieux-Bourg), now known as the Roquette quarter, was at the time inhabited by sailors, dockers and farmers. In the New Borough (Bourg-Neuf) lived the shopkeepers. The Marché-Neuf (New Market), now Rue du Président Wilson, was the section where the innkeepers and craftsmen resided and worked. 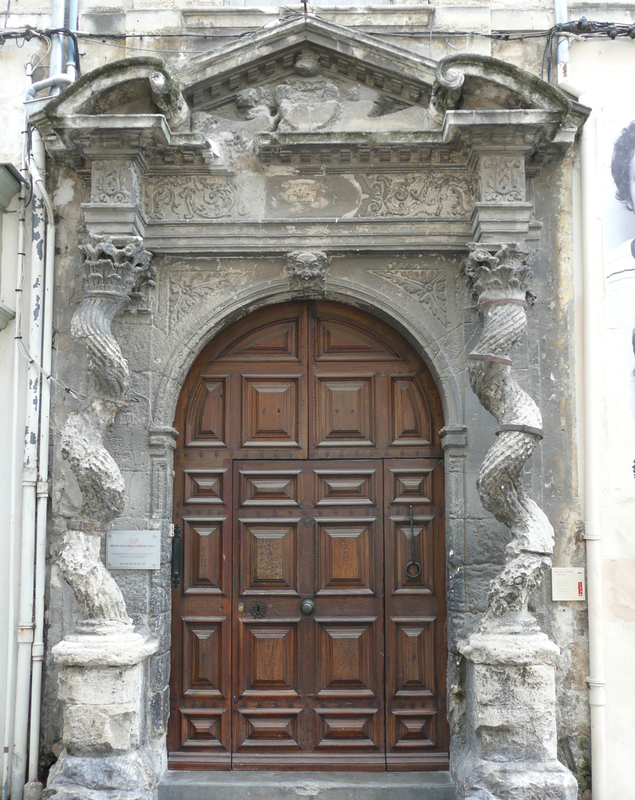 Classical architecture triumphed in Arles with the construction of the City Hall, finished in 1676. The plans were designed by Jacques Peytret, with advice from Jules Hardouin-Mansard, who was designated that same year official architect of King Louis XIV. It was then that the Place de la République, called at the time Place Royale, was profoundly modified. The period of reconstruction during the 17th century and the changes that took place during the 18th century gave the city of Arles the appearance that it still has today.